And it has tremendous potential for encouraging more people to improve their health, according to a new Health Impact Assessment of the Greenway from Common Ground Health and the Genesee Transportation Council. Read more. Thank you to the more than 5,000 people who have completed the community health survey at www.MyHealthStory2018.com and www.MiHistoriadeSalud2018.com. In partnership with our region's county public health departments, we are gathering health stories until Sept. 3. The survey has been shared at libraries, festivals, clinics, workplaces, churches and via social media, among other places. More responses are needed to identify barriers to optimal health, and answers are confidential. Respondents can enter for a chance to win a $500 gift card. If you haven’t participated, please take the survey and share it with others. Read the Democrat and Chronicle's front page story here. 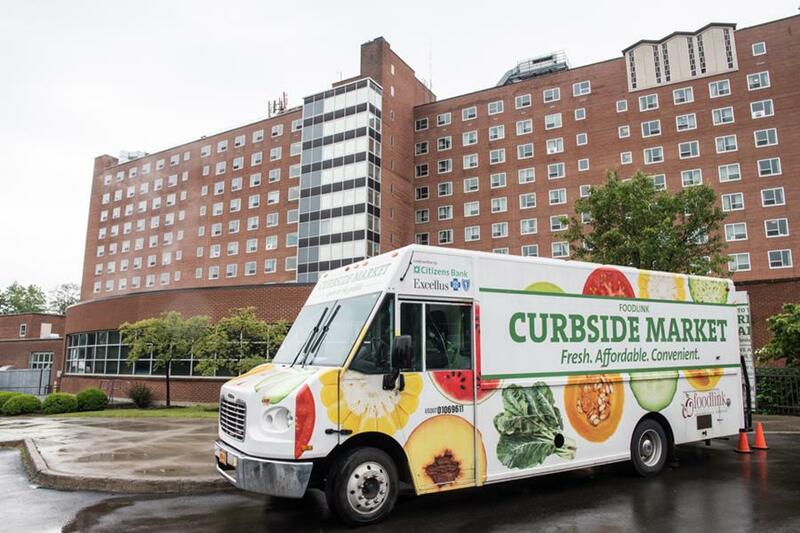 “There are some people who say they wouldn’t be eating healthy if it wasn’t for Curbside," says Matt DeLaus, a driver for Foodlink's Curbside Market. In 2013, Foodlink started its mobile market as a way to give people living in communities without traditional grocery stores access to fresh, affordable fruits and vegetables. Curbside now has three trucks serving 85 different locations in six different counties, many of them all year long. "It's pretty important we be on time each week so that people can trust that we’re going to be there consistently,” says DeLaus. Read on. Analysis of data from the high blood pressure registry and other sources shows that hypertension continues to be a leading driver of premature mortality across Rochester and the Finger Lakes region. 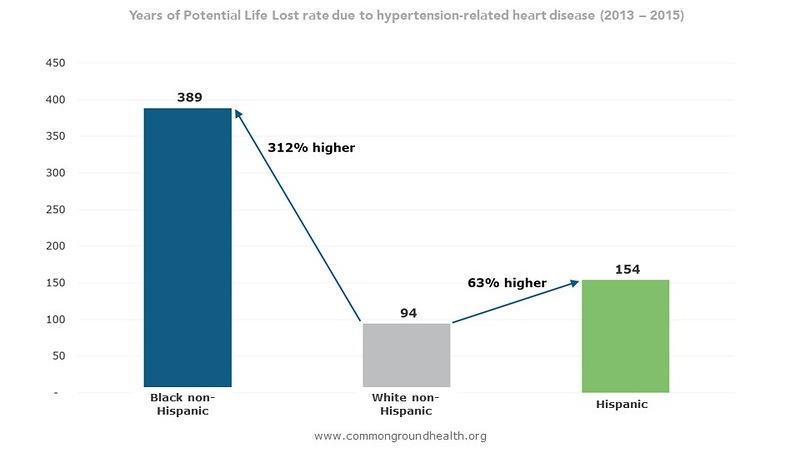 As this data graphic shows, African Americans are particularly vulnerable to the chronic illness, experiencing premature morality rates from hypertension-related illnesses that are three times higher than for whites. The good news is that the region's many clinical and community hypertension initiatives have led to double digit improvements in high blood pressure control rates and other measures over recent years. View all eight data slides for more. Practice staff from across New York are invited to join us in a webinar at 9:30 a.m. Aug. 31 for Addressing Hypertension - 2017 Guidelines: Evidence Based Team Strategies for Care Plan Development and Adherence. Review how to apply the 2017 ACC/AHA Blood Pressure Guidelines to classify, evaluate, and formulate a treatment plan using a case example. Register here. Hundreds of kids played July 21 during Healthi Kids' third annual PlayROCs Your Neighborhood at 32 sites across the City of Rochester. The event raises awareness of the importance of safe and accessible play spaces for all kids. Read news coverage here and here, and view a photo gallery of some sites here.